Ladies and Gentleman, Welcome back to Dear MxM where we take a pragmatic look at the worlds of advertising, media and marketing week after week. Answering our fraternityâ€™s concerns remain our priority as always. The month of July is traditionally low on advertising spends in media but this year it was abysmally low and the industry is reeling under this impact. TV, Print, Radio all saw an unrealistic drop. FMCG, Retail and Real Estate were practically inactive in July this year and this could in all probability be linked to the GST implementation process. Most companies were awaiting their migration and new registration details before they insured any marketing expenditure. The silver lining I guess is the resurgence seen in the first 10 days of August with the volumes showing fairly decent growth over July. I would imagine that this will show steady improvement albeit more for radio and online considering the cut back on budgets. Bolstering other sources of revenue is now assuming critical significance for media companies and it wont be long before we see more active content marketing and syndication being bandied around. Cover prices of newspapers and magazines will also witness sharp increase in the months to come. Staff cuts and other cost-cutting measures etc are already here to stay. I wouldn’t be surprised if annual increments also go back to the old times where a lot of us were at the receiving end of COLA ! For those of you who aren’t familiar with this, itâ€™s Cost Of Living Adjustment where the company gives you an increment in line with the inflation percentage during the year. I am a student of computer science in an NIT. I have a great amount of interest in creativity and creating posters etc. Do you think I can make a switch from computer science to advertising? But of course you can! I am a living example of this having taken a switch in my early years from hotel management to sales. Never looked back after that. It is finally your passion and seeking a medium to allow growth.. You’re education in computer science will always come in handy and more so in the current times. So you wont be wasting all that effort either. Creativity in advertising is highly technology led nowadays and hence you will get several opportunities to incorporate your learnings too. I suggest you do a course in graphic designing etc to get you started and then maybe intern at a good creative agency to build on your fundamentals. Soon enough, am sure you will be well onto your creative career ! All good wishes to you my friend. I am a former journalist and am now working with a content marketing firm. I would like to reach out via you and inform that content marketing is a lot of fun. I really don’t understand why people don’t give it the desired amount of respect. I donâ€™t entirely agree with you on the desired respect bit. In fact there is a lot of interest in content today and it is getting a fair amount of attention. I was quite recently speaking to a friend who works for a VC fund who told me that there were several investments being garnered by content companies offlate. It is just the fact that a lot of the activity that happens isn’t in the media glare but the interest levels are certainly building up. Content and content marketing is here to stay and I would imagine be worthy of large investments in the years to come. This will also pave the way for more contemporary and effective content being made available for users and companies. Sir, I was reading MxM India last fortnight and was shocked to read that in July 2017, print ad volumes dropped over 30% over June 2017, just the previous month. Is this just a blip or the new normal? Yes, this is an unusual blip thanks to all the market forces and GST implementation. Most companies are holding on to their campaigns to get their migration to GST all in place. While volumes are likely to be on the lower side in print and TV,Â Radio and Online will definitely see renewed growth over the next few months. Retail and real estate will certainly spend more on radio and online given their tighter budgets. I wouldn’t be too worried about this current fall. On that note of optimism, it is time to bid adieu for this week.. Do have a fabulous week and a thrilling weekend too !Â Keep sending in those questions on editor@mxmindia.com and we will have your answers waiting for you! Till then next time then, Sayonara and God Bless ! Jaisurya Das, maverick and media evangelist eats, sleeps and makes love to brands. His consulting interventions are aimed at making brands powerful and sustainable. 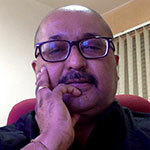 He is also the Contributing Editor of MxM India and Co-Founder of pune365.com. For more on his work visit www.xanadu.co.inThe views expressed in this column are his own.